I was on the staff of Scotsman Publications from November 2000 to January 2014, initially as deputy arts editor of the Scotsman, then as arts editor, then as group arts editor of the Scotsman and Scotland on Sunday. 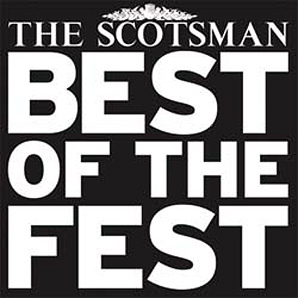 I continue to work with them on a freelance basis as Edinburgh festivals editor – running the busiest festival desk at the biggest arts festival in the world, and producing the annual Scotsman Fringe Awards – and an occasional contributor of features. Why did I leave? Because newspapers are, increasingly, no longer a happy or creative place. Even before I left, space for arts coverage was being cut back by the year, budgets reduced, and freelancers let go. I’d gone from editing two magazines per week, plus daily pages and one-off publications, to just a few pages hidden at the back of the newspaper and often barely promoted. The only time of year when the newspaper continues to run any substantial amount of arts coverage is the Edinburgh festival. Still, it was good while it lasted, and I got to interview quite a few musical heroes: Paddy McAloon of Prefab Sprout, St Vincent, Paul Buchanan of the Blue Nile, Laura Veirs, Bill Drummond (twice), Jane Siberry, Magne Furuholmen of A-ha, and Patrick Fitzgerald of Kitchens of Distinction (also twice).